however, was not tainted and he decided to develop his natural skills as a painter. throughout Holland, France and England. 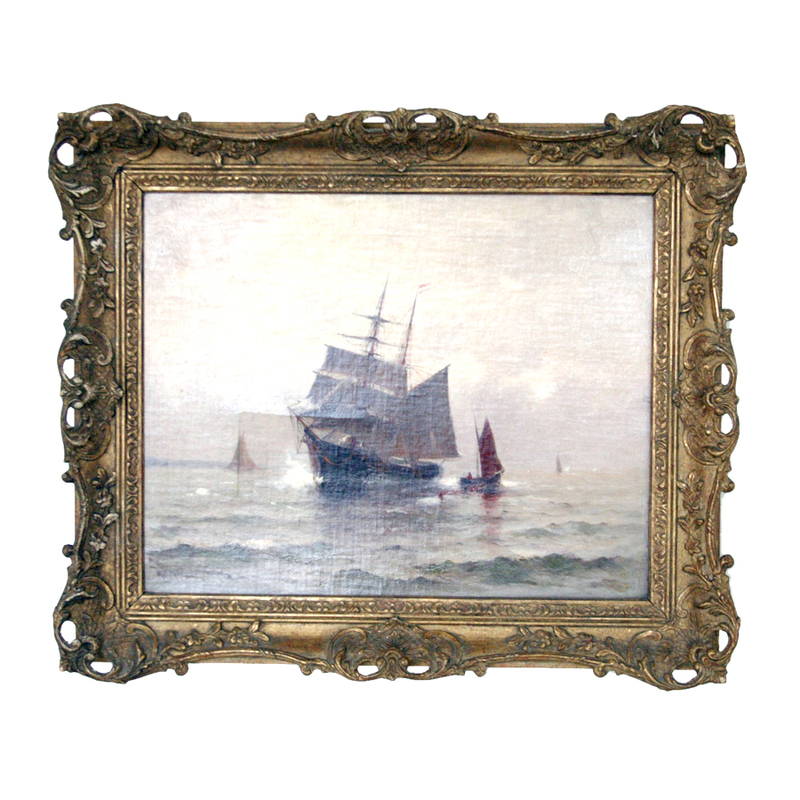 Upon his return, Johnson established his own studio on India Wharf in Boston and devoted the next two decades entirely to marine painting. Marshall Johnson exhibited at The Boston Art Club (1880 – 1909), The National Academy of Design (1886 -1887), The Pennsylvania Academy of Fine Arts (1887), and The Art Institute of Chicago (1900 – 1902). Several of his works are in the permanent collection at the Peabody Essex Museum in Salem, Massachusetts. This oil on canvas is signed in the lower right hand corner. CONDITION: This painting has been lined and there is a repaired L shaped tear a little to the left of center and a little below the center which is still noticeable. Some craquelure. In a 50 year old rococo style frame.